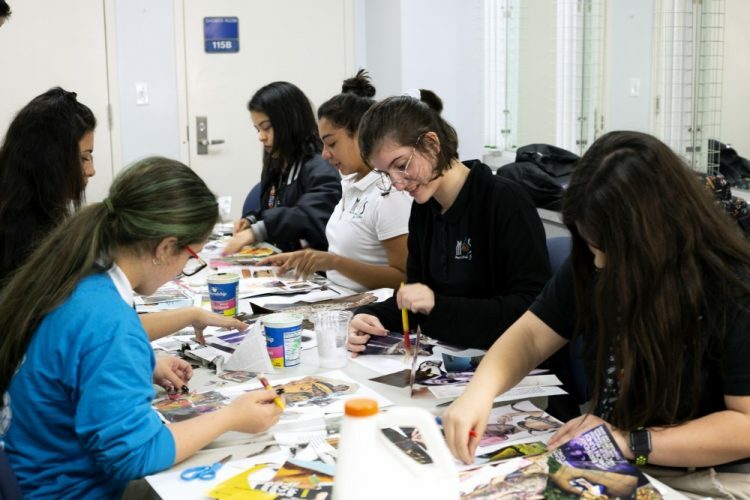 Last week, more than 30 theatre students from Miami Arts Studio 6-12 @ Zelda Glazer (MAS) visited FIU Theatre for an afternoon of portfolio reviews and design workshops. 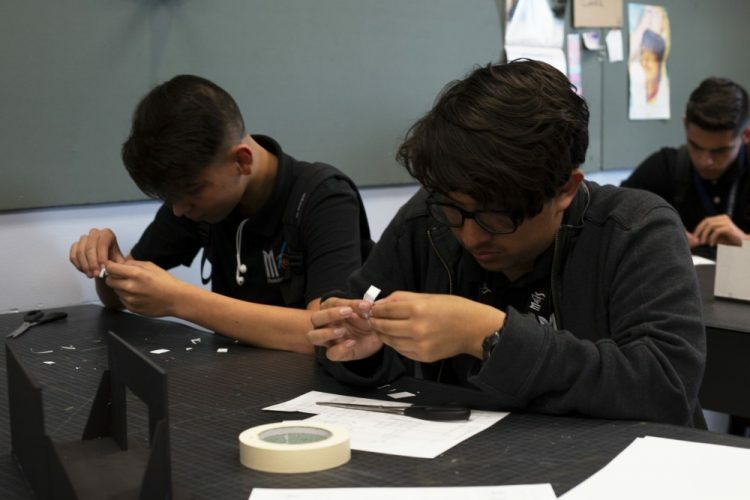 While the MAS seniors and FIU Theatre faculty were going over portfolios, current FIU Theatre students led the 9th, 10th, and 11th graders in design workshops. 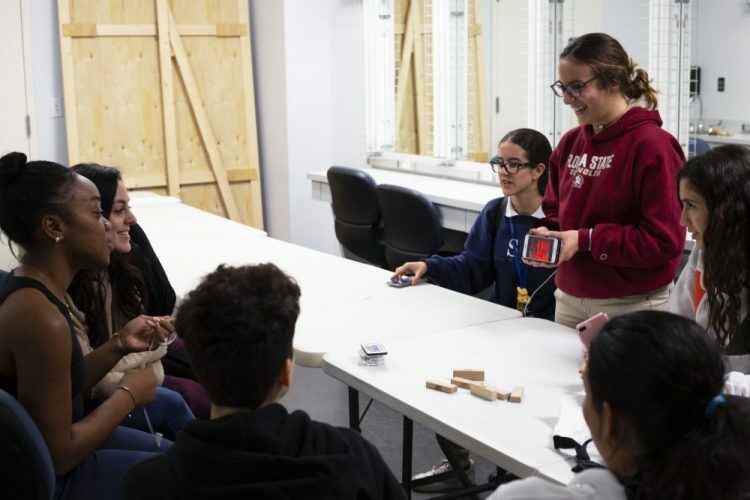 For FIU students, it was an opportunity to pass on what they know to high schoolers. 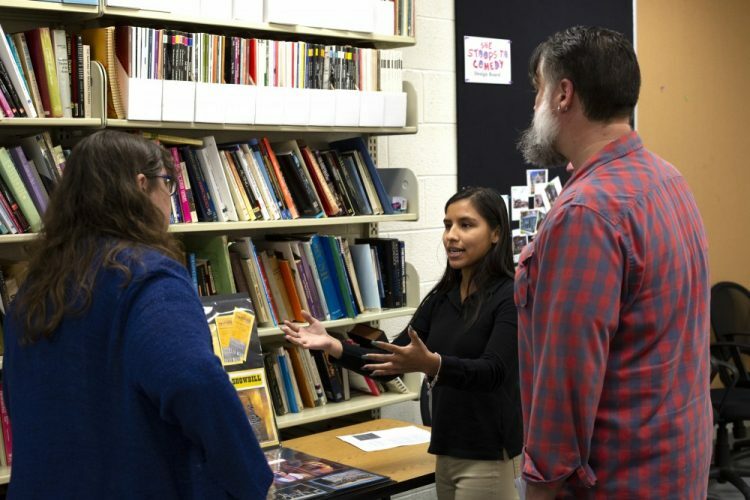 For the MAS students, it was an opportunity to see what the college theatre classroom is like and to make connections with our students. 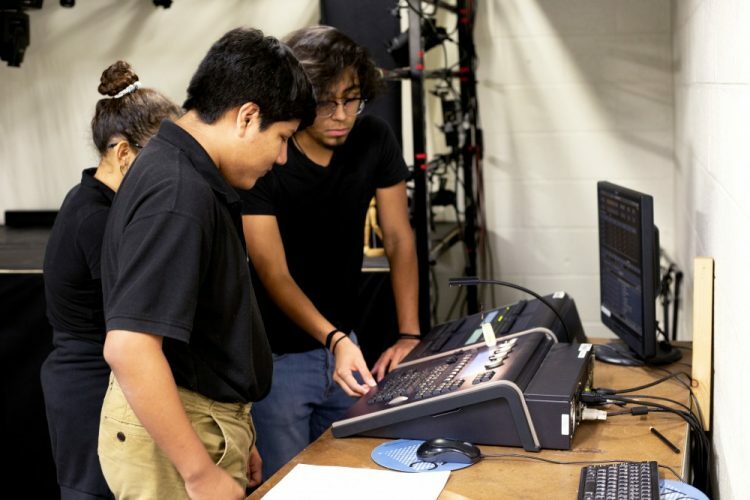 Students interested in lighting spent some time in our light lab learning how to use professional equipment such as an ETC Ion light board. They explored how different instruments, directions and colors create varying emotional qualities on stage. 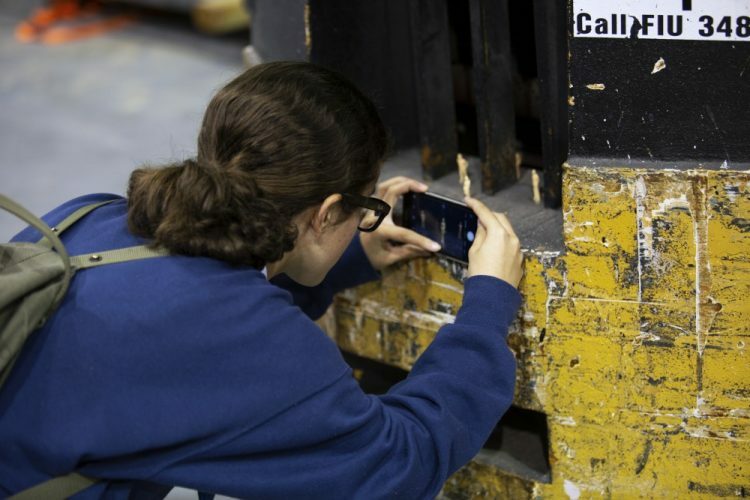 Then, using what they learned, students were able to experiment by lighting a model figure. Another group of students learned about gathering visual research. They searched for images that evoked a certain emotional quality and created collages that would serve as inspiration for scenic, lighting or costume designs.